Welcome to the information page for the listening bench installed in Epping, Essex. The bench features clips of memories of Epping dating back to the early twentieth century, including the Second World War, the market, and entertainment on the High Street. 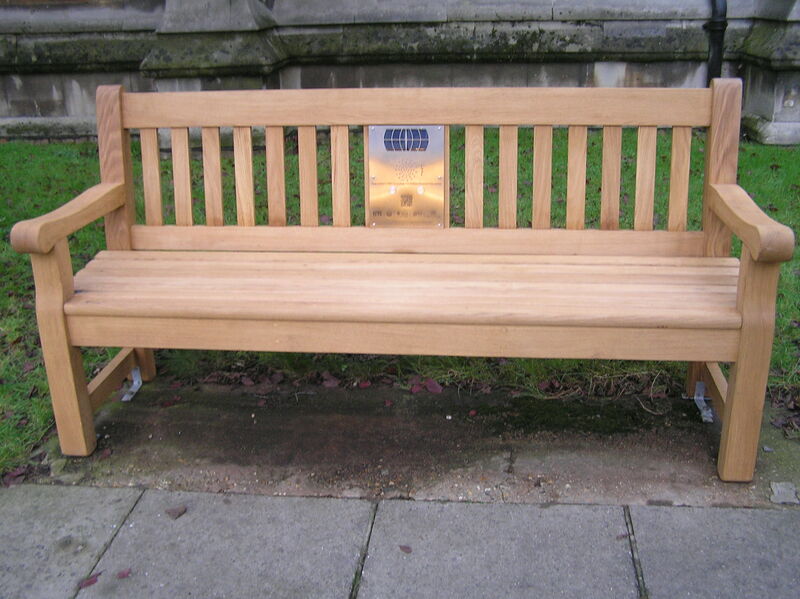 The bench is located in the churchyard of St John the Baptist, on the corner of High Street and St John’s Road. The bench has been put together by local volunteers including members of the Epping Forest Youth Council, with support from Epping Town Council and St John’s Church. Mr Gilder describes how he was sent to Epping as an evacuee during the Second World War. Used by kind permission of the Waltham Forest Oral History Workshop who recorded the interview (SA 9/443/1). Deputy Lieutenant Michael Chapman describes childhood visits to Epping when he was growing up in Theydon Bois. Recorded by the Epping Forest Youth Council on 4 July 2017. As well as being Deputy Lieutenant, Michael Chapman is also a Verderer of Epping Forest. Here he describes how the Forest was preserved for the public, and his responsibilities as Verderer. Recorded by the Epping Forest Youth Council on 4 July 2017. Local historian Sidney Hills shares his memories of how the British Empire affected him as a boy growing up in Epping in the early twentieth century. Sidney Hills describes the fun and frivolity he enjoyed as a young boy in Epping in the early twentieth century. Sidney Hills describes the fishmonger, and special events on the High Street through the twentieth century.